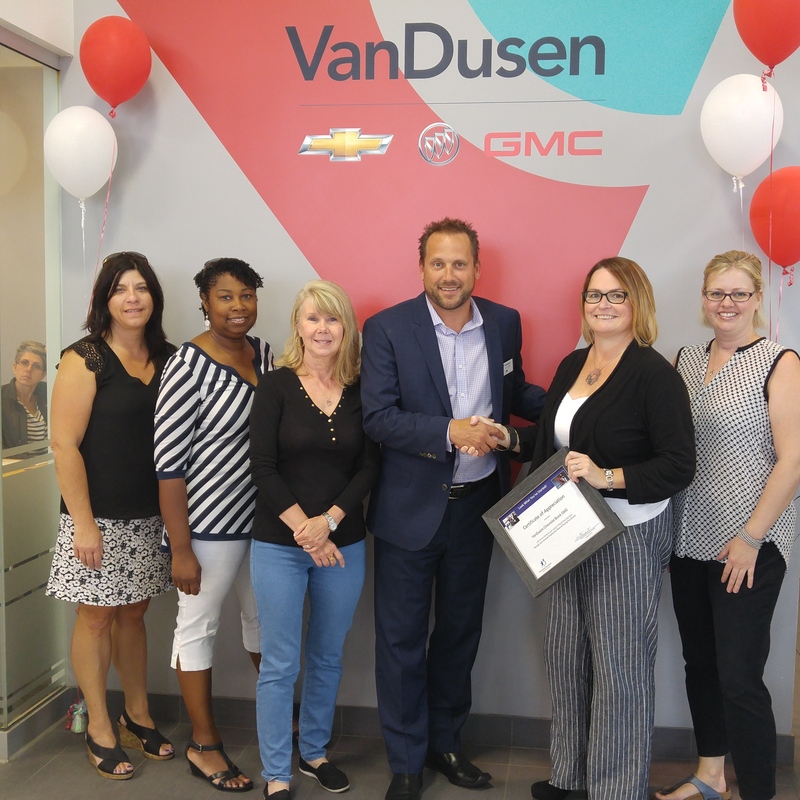 Jim Gibbens, General Manager of VanDusen Chevrolet Buick GMC, presents a cheque to Melanie Stewart, Executive Director of Big Brothers Big Sisters of South-West Durham & Northumberland, and the rest of the BBBS team who support this inspiring charitable organization. 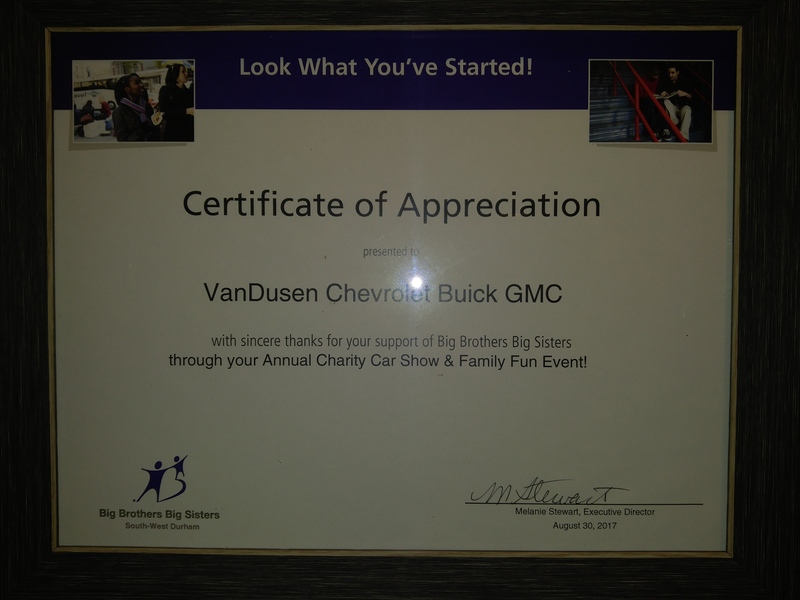 All funds were raised from our 4th annual VanDusen Charity Car Show and Family Fun Event which is an annual event supporting Big Brothers Big Sisters of South-west Durham. Every year the VanDusen team fills our front lot with classic cars and invites the local community and car enthusiasts to come enjoy the cars as well as food, music, and prizes. This year, we were able to contribute over $6,000 with the help of our partners, Royal Bank of Canada, Pine Ridge Corvette Club, Karbelt Speed & Custom Pickering, Hot Rod Swag, Golden Leaf Automotive, Durham Region Classic Mustang Club, all the classic car show entrants, and our great staff. It was great to partner with BBBS for the fourth year and help support their life-changing mentoring experiences and all the other impactful work that they do in mentoring the local youth of Our Ajax and Durham Region.